Abdeen, as he is called, and his uncle, Hasan Hadi Khazaal, 21, arrived on Long Island in the Spring of 2011 from their home in Iraq. His parents abandoned him after he was badly burned when a car bomb exploded outside his home in Dujail, 35 miles north of Baghdad, a few weeks before his first birthday, prompting his uncle to aid in his survival. He and his uncle came to Long Island because two nonprofit organizations — Global Medical Relief Fund on Staten Island and Mission: Restore — paid for the flight and arranged for medical care. They lived in a Ronald McDonald House in New Hyde Park while Abdeen waited for plastic surgery donated through Mission: Restore. 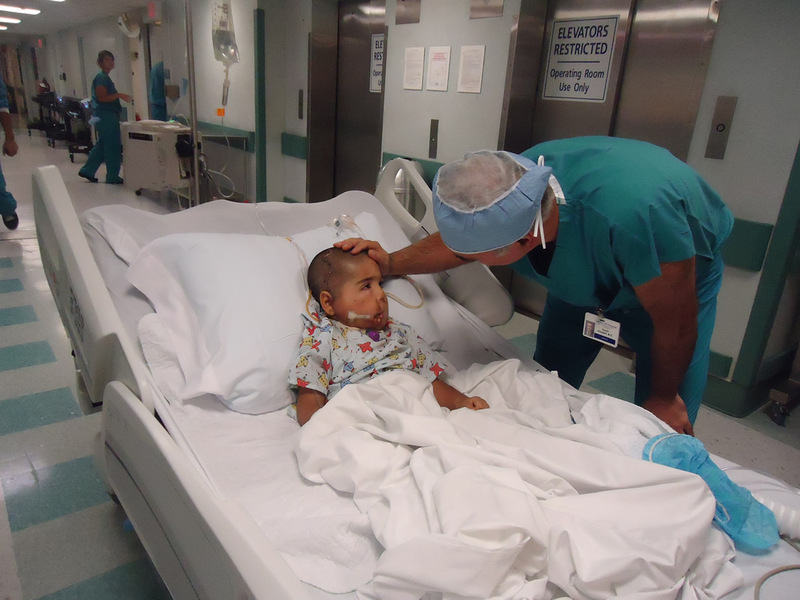 Dr. Kaveh Alizadeh performed surgery on Abdeen to reconstruct his face. The surgery was one of many Abdeen endured to repair damage to his face. The explosion sent electricity from a downed power line surging through his head, tearing his skin. With each injection, the boy’s face was transformed. One injection caused the tip of his chin to hook sharply upward. Another distorted the right side of his face, pulling one eye toward his right ear. A third produced a lump on his scalp the size of a small apple. Scarring from the blast was so severe that Abdeen’s mouth was barely functional. Abdeen’s face was severely disfigured in the bombing. But today, four years and 36 surgeries later, he is going to school and living on Long Island with his uncle.